Dallas, TX Composition Shingle Roofs Installation, Repairs And More! If staying on budget is your main goal for your roof, shingles may be what you need. Composition shingle roofs are one of the cheapest roofing types on the market, and they can also be extremely durable with proper care. The professionals at Eclat Roofing want to help fix and maintain Dallas, TX composition shingle roofs. Since 1999, we have provided the area with the best residential roofing services in repairs, maintenance, and replacements. Call us today at (214) 373-1500 for your roofing service! Shingle roofs are fairly easy to repair with a little sealant and extra shingles on hand for individual replacements. If you are noticing leaks or shingles falling from your home, call our roofers for a repair. We are experienced roofing professionals serving the DFW area with premium services! Composition shingle roofs can last a long time, but in order to get the most out of your roof, you will need to make sure you’re taking care of it and maintaining it. Regular maintenance will help extend the lifespan of your roof and save you money! That is why we are here to do maintenance for Dallas, TX composition shingle roofs. It is much easier and less expensive to do repairs when they’re small problems rather than full-scale disasters! Our roofing contractors are also skilled at shingle installation and repairs. 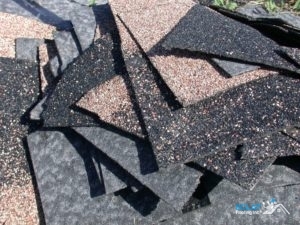 Composition shingles come in a wide variety of colors, shapes, and styles. We can help you determine which type of shingle is right for your home and needs, as some types offer more durability than others. Some are made of fiberglass, asphalt, laminate and more! With all these wonderful choices, it’s clear why this is one of the most popular roofing materials in the United States. Eclat Roofing is here for Dallas, TX composition shingle roofs, whether you need maintenance, a repair or a full-blown installation or replacement. We can help you determine what type of shingles you need and work with you to extend the life of your shingle roof. Call us today at (214) 373-1500 to schedule your residential roofing service! Updated on September 13, 2018 at 3:03 pm by Eclat Roofing.